TUMS Scholarship Program is a scholarship program set up by the TUMS to facilitate students and scholars from all over the world to conduct their study and research at TUMS. The scholarship aims to increase the mutual understanding and scientific exchange of scholars and students of Iran and scholars and students from the rest of the world. 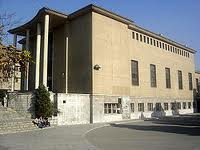 TUMS is the best university in the field of medical sciences in Iran and it is the second best medical university in the Middle East. 1. For undergraduate level of studies: The applicant must have finished her or his high school. 2. For graduate level of studies: The applicant must have had obtained a degree in the field related to her/his desired field of study. 3. The teaching language will be in English. The applicant need to have proof of English language ability to write, read, and understand. Students currently studying or residing in Iran are not eligible to apply. Study Subject(s): Medical Sciences:- Anatomy, Anesthesiology, Biochemistry, Biophysics, Cardiology, Community Medicine, Dermatology, Emergency Medicine, ENT, Forensic Medicine, General Surgery, Genetics, Geriatrics, Histology, Immunology and Biology, Internal Medicine, Legal Medicine and Occupational Medicine, Medical Education, Medical Ethics, Medical Physics, Microbiology, Molecular Medicine, Neurology, Neurology, Neurosurgery, Nuclear Medicine, Nuclear Medicine, Obstetrics and Gynecology, Occupational Medicine, Oncology and Radiotherapy, Ophthalmology, Orthopedics, Parasitology, Pathology, Pediatrics, Pharmacology, Physiology, Plastic and Reconstructive Surgery, Psychiatry, Pulmonary Medicine, Radiology, Radiotherapy, Reproductive Biology, Social Medicine, Sport Medicine, Tropical Medicine and Infectious Diseases, Urolo gy, Virology etc. Scholarship Application Deadline: 31 December 2011. Demikianlah informasi TUMS Scholarship Program 2012 in Medical Sciences at Tehran University of Medical Sciences kami sampaikan, semoga bermanfaat.